I joined the group in 2011 and I am thrilled to not only discover London but also to have the opportunity to sketch with like minded people. 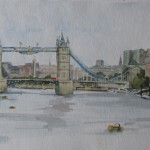 I love plein air painting and mostly paint in watercolour. 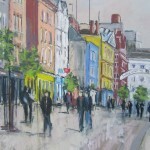 I am very involved the Fulham art society (SOFAP) and regularly exhibit with them. 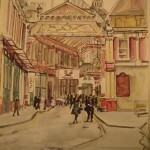 I am also a member of Merton Art Society and run a sketching group in Fulham and paint at every possible opportunity!